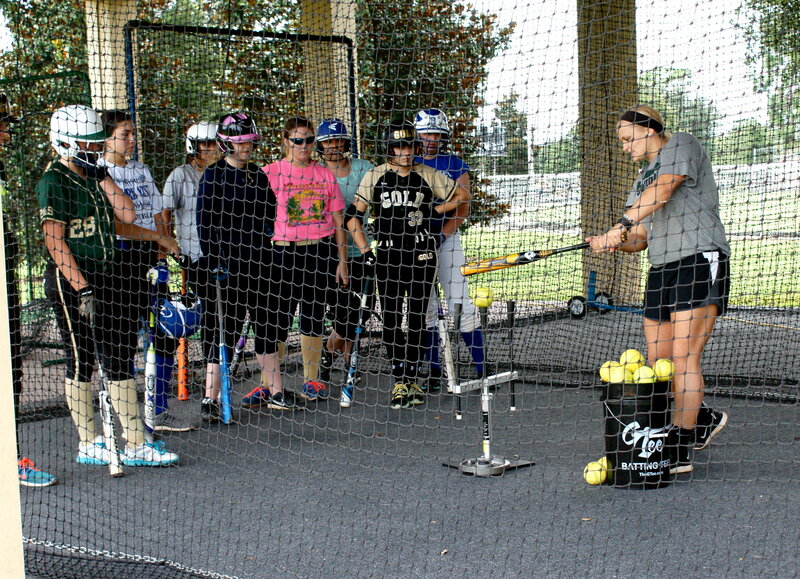 Ocala, Florida — Even the best can get better: 47 high school and middle school softball players from all over Marion County were present at CF Field Saturday for the Central Florida Softball camp. The camp began with a 10-minute warm-up period of stretching, before the campers broke into groups for drills. In his second season as head coach of the Patriots program, he led CF to a 48-15 record and a berth in the NJCAA national championship game. Fagan, a former NFL player, also has a national champion with the University of Miami in 1983 and has two Super Bowl rings from his seven seasons with the San Francisco 49ers. CF has high level college players helping at these camps — from their own players to Division 1 players. Fagan said there is so much good instruction to take advantage of and players are encouraged to try new things when they are in a camp environment. The next Camp is slated for Aug. 15 and is open to athletes in kindergarten through sixth grade. The event is $40 per camper and includes a T- shirt. For more information or to register online, visit www.cfsoftballcamps.com.